We review the new Panasonic Lumix LX100 II, Panasonic's 2nd version of the LX100, with new 17mp multi-aspect sensor, 3inch touch-screen and Bluetooth. The Panasonic Lumix LX100 II is the long-awaited update to the LX100, which was first introduced in 2014. The LX100 II includes the latest 20mp Four Thirds sensor as Panasonic's Micro Four Thirds cameras, the latest Venus image processing engine, a 3inch touch-screen, and a number of new features from the other Lumix G cameras in Panasonic's range. At first glance, you may be mistaken for thinking you're looking at the original LX100, but when you look at the top of the camera, you'll notice the LX100 II lettering. 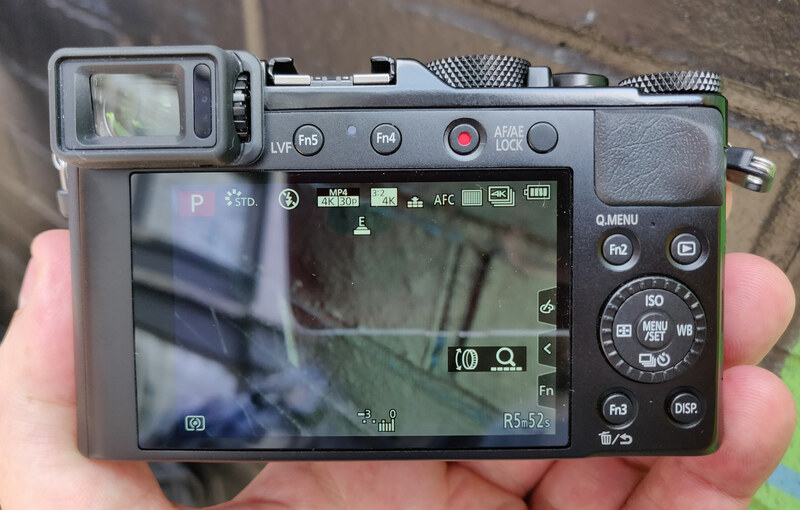 Beyond this, the external design of the camera remains very similar, albeit with an updated front grip, a number of additional customisable function buttons, and a touch-screen on the back. 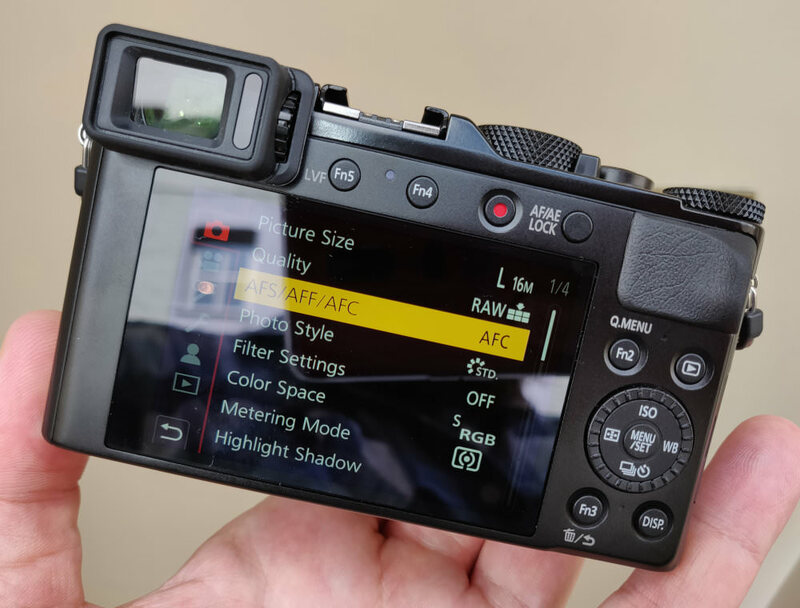 There have been a number of changes made to the insides of the camera, including the 20mp Four Thirds sensor from the Panasonic Lumix GX9, and in the LX100 II, it's used as a multi-aspect ratio sensor, so that if you're shooting at 3:2, 16:9, or 4:3 you still get the 24mm equivalent wide-angle view of the scene. The sensor also features no optical low-pass filter, which should deliver sharper, more detailed images. The lens remains the same, with a 3.1x optical zoom Leica DC Elmarit lens, with a bright aperture of f/1.7 to f/2.8, and 9 aperture blades. The lens is equivalent to 24mm to 75mm in 35mm terms and features optical image stabilisation. There's also direct aperture control surrounding the lens, so you can manually set this from f/1.7 to f/16, or alternatively leave it on A for Auto, and let the camera decide on the best aperture. The camera retains the same external controls as the LX100, for aperture (as mentioned above), plus aspect ratio (3:2, 16:9, 1:1, 4:3), exposure compensation, focus mode (AF, AF Macro and MF), and shutter speed. New to the LX100 II is the number of customisable function buttons, with there now being five on the camera body. The camera will allow slow shutter speed shots to be taken at an impressive 30 minutes, an improvement over the original LX100. There are new L. Monochrome colour options, as featured on other Panasonic cameras, and these are designed to give black and white images, with the look of traditional black and white film, such as Tri-X. There are 22 creative filters available, and you can shoot these in any mode, including manual modes, keeping both the original image, as well as the image with the creative filter applied. The back now features a higher resolution 3inch touch-screen, with 1240K dots. The touch-screen can be used to set the focus position, adjust menu settings, as well as control the playback mode. The electronic viewfinder features a high-resolution of 2760K dots, and there is both eye-detection (so that the camera will automatically switch between the screen and EVF), as well as AF that is automatically activated when you hold the camera up to your eye. Wi-Fi and Bluetooth are built-in, letting you remotely control the camera, and transfer images to a compatible smartphone or tablet. The camera features built-in highlight/shadow adjustment, as well as RAW editing in the camera, making it easy to adjust the look of images without first having to transfer them to your computer. The numerous physical controls, switches, and metal dials on this camera make it feel like a solidly built camera, and you have instant access to camera settings, without having to go into the menus or turn unlabelled dials. The dials on the LX100 II are all clearly labelled, making it quick and easy to see what changes you are making, without any kind of guesswork. 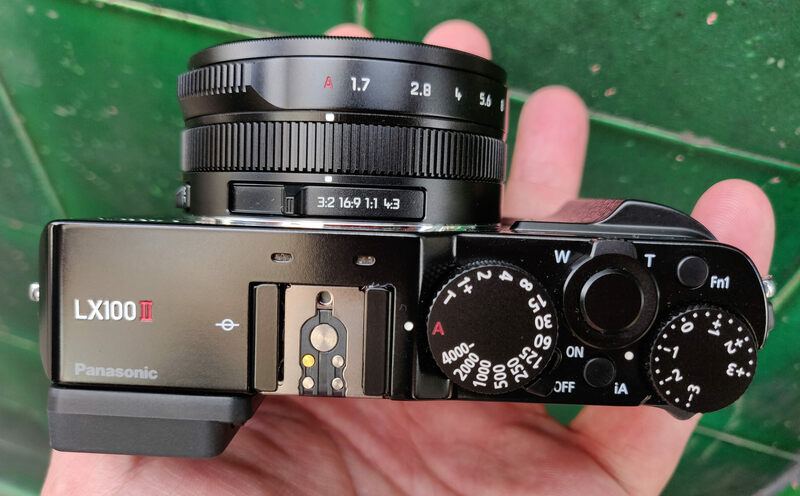 As mentioned, there are multiple external dials and controls on the camera, with an aspect ratio switch on the top of the lens (which dates back to the original Panasonic Lumix LX1), a focus lever on the left hand side of the lens, and an aperture ring with (A) auto setting. Behind the aperture ring, there is the focus ring / control ring, which is used for focus in manual focus, or by default, is set as the zoom control. The function of this can be customised to a number of things, including ISO, exposure compensation, etc. if you find that you are accidentally changing the zoom. On top is a shutter speed dial, with (A) auto setting, and exposure compensation dial. The on/off switch is a lever rather than just a button, and is well placed so that you can quickly turn the camera on / off with your thumb. There are five customisable function buttons on the camera body, with a further 5 customisable on-screen buttons. The front grip has been updated, and in combination with the rear thumb grip, you can get a solid grip of the camera. The rear thumb grip is rubberised and provides plenty of grip for your thumb. We'd still recommend using the provided neck strap or a wrist strap, but it's not as essential as it is with some other compact cameras. The electronic viewfinder features a high-resolution of 2370K dots and a good magnification size of 0.73x. We found it provided a clear view and good colour reproduction. There will be some who just can't get on well with an electronic viewfinder, so for those people, the quality of the screen will be particularly important. Luckily the LX100 II provides a high-resolution touch-screen, and this gives good colour, a clear display and was visible even when shooting outdoors in bright sun. Unfortunately, it's not a tilting screen, as this would have made the camera even more versatile to shoot with. You can use the touch-screen to set the focus point, either before taking the photo, or whilst holding the camera up to your eye. You can also use the touch-screen to scroll through menu options, and change settings. In playback the screen can be used to quickly scroll through photos, zoom in, and move around photos. The menus are clearly laid out, being split into different colour coded sections. The Q.Menu button gives quick access to settings you might want to change often. There's quick access to the ISO speed, using the 4-way controller on the back, where you'll also find Focus, WB, and Drive shortcuts. 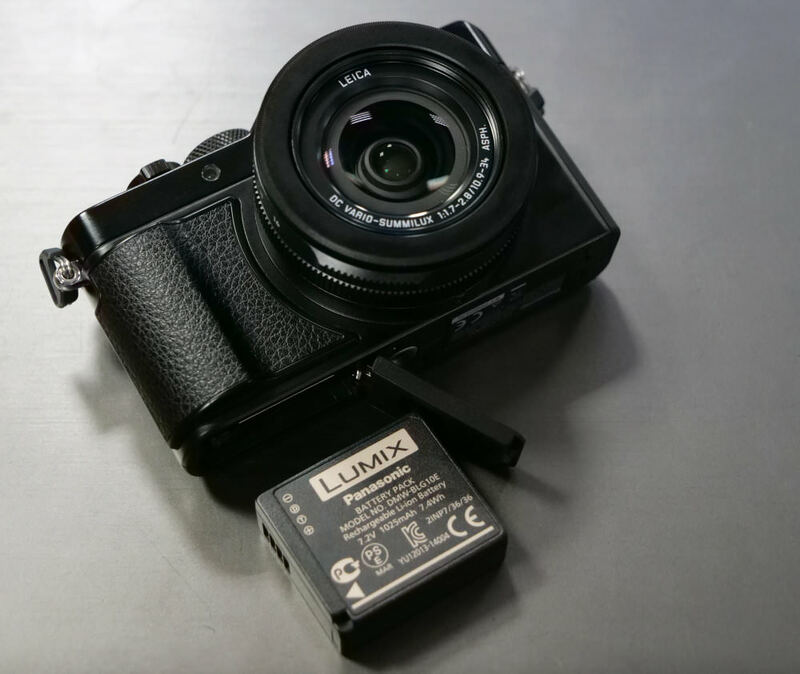 The LX100 II uses the same battery as the LX100, however, the LX100 II now supports USB charging, so you can charge the camera with just a MicroUSB cable and a USB socket - whether that's from a USB wall adapter, laptop or computer USB socket, or a portable USB charger. Battery life is rated at 340 shots, which is reasonable. Just a slight amendment, you say: [quote]The electronic viewfinder features a high-resolution of 2370K dots and a good magnification size of 0.73x. We found it provided a clear view and good colour reproduction. [/quote] But as you quote in the specs it's "EVF, 2760K dot". Except it isn't quite - it's 2760 dot [i]equivalent[/i] because it's one of those annoying field-sequential EVFs Panasonic sometimes uses when cutting corners, so that what you get is 920 dots of red green and blue shown in rapid succession. It bothers some more than others, but it's worth knowing and worth checking how well you get on with it. Another major disappointment is the crop in 4k mode, which unlike the ones for multi-aspect ratio, uses an [even] smaller portion of the sensor which doesn't preserve the AoV of the lens. This is the same for video and 4k stills/sequence shooting, which both knocks out your wide angle and will have a correspondingly deleterious impact on low-light performance. 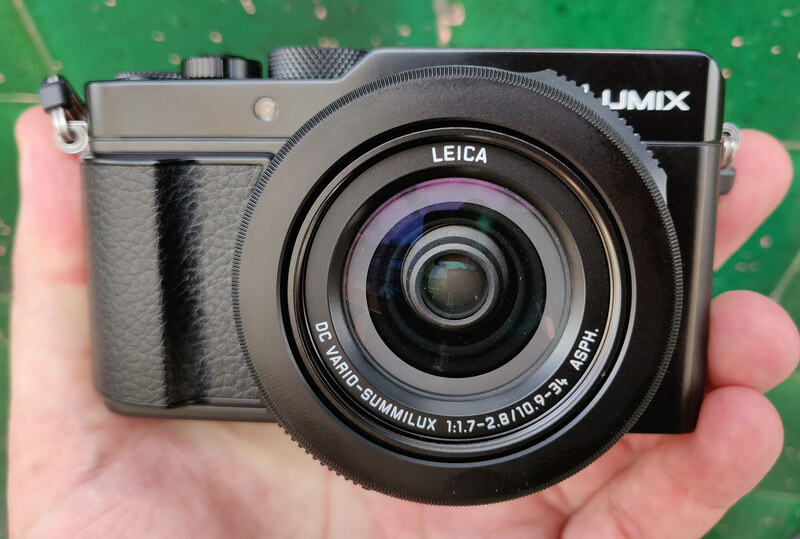 It's still a great little camera and it's a slight shame Panasonic made these compromises to what is still possibly the best 'compact' camera on the market. Quote:The electronic viewfinder features a high-resolution of 2370K dots and a good magnification size of 0.73x. We found it provided a clear view and good colour reproduction. But as you quote in the specs it's "EVF, 2760K dot". Except it isn't quite - it's 2760 dot equivalent because it's one of those annoying field-sequential EVFs Panasonic sometimes uses when cutting corners, so that what you get is 920 dots of red green and blue shown in rapid succession. It bothers some more than others, but it's worth knowing and worth checking how well you get on with it. Another major disappointment is the crop in 4k mode, which unlike the ones for multi-aspect ratio, uses an [even] smaller portion of the sensor which doesn't preserve the AoV of the lens. This is the same for video and 4k stills/sequence shooting, which both knocks out your wide angle and will have a correspondingly deleterious impact on low-light performance. 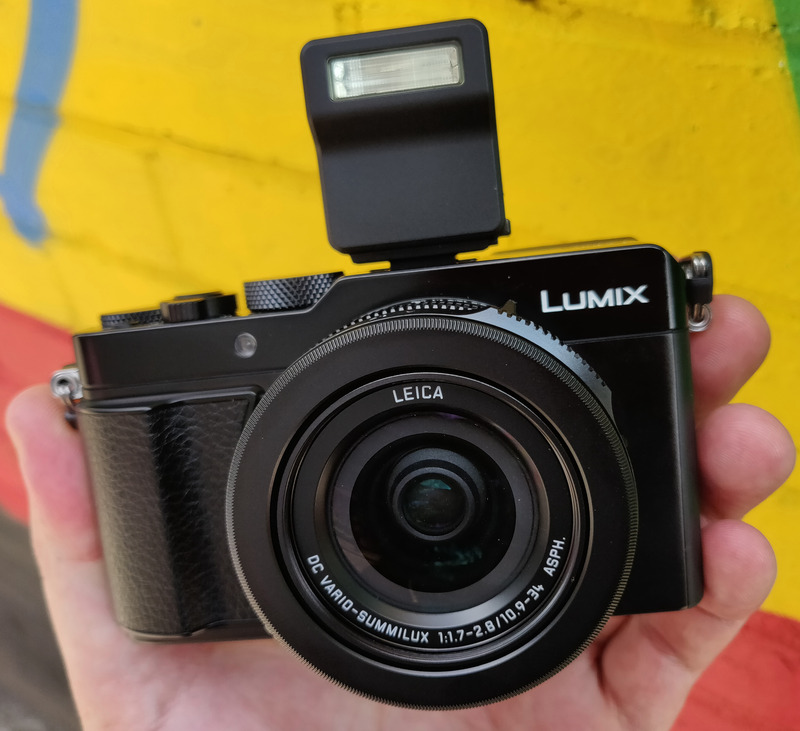 It's still a great little camera and it's a slight shame Panasonic made these compromises to what is still possibly the best 'compact' camera on the market. Looks great but I dont think there is enough in it to pay an extra £350 over the LX100. It still hasnt got a flip screen and i guess the continuous AF is still unreliable. I’ll probably get one after the initial feeding frenzy and subsequent price drop! 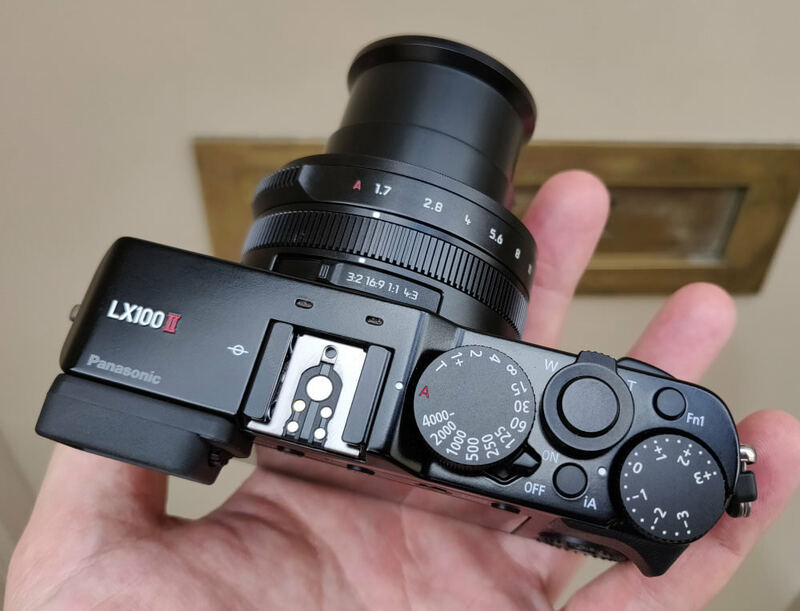 It's a good camera just like the original LX100 but the new one is not different enough to warrant a nearly £400 price difference. I thought about buying a LX100 a little while ago but opted for a Olympus OMD 10ii instead. Very disappointed that no mention was made of the dust issue that plagued many Mark I owners including myself, really thought you'd ask Panasonic if they'd made any changes to avoid this issue in the Mark II. [quote]Very disappointed that no mention was made of the dust issue that plagued many Mark I owners including myself, really thought you'd ask Panasonic if they'd made any changes to avoid this issue in the Mark II. :([/quote] Unfortunately we don't have the camera for long enough to see if dust is an issue. However, we can ask Panasonic this question to see if any changes have been made to avoid this issue. Quote:Very disappointed that no mention was made of the dust issue that plagued many Mark I owners including myself, really thought you'd ask Panasonic if they'd made any changes to avoid this issue in the Mark II. Unfortunately we don't have the camera for long enough to see if dust is an issue. However, we can ask Panasonic this question to see if any changes have been made to avoid this issue. I am very happy with my LX100. Not a big enough reason to upgrade for me this time around. Every camera is a compromise but for me the LX100 is a real gem of practicality and quality. I've never experienced the "dust problem" but it is always inside a leather case when not in use. It's one of those retro "Ever Ready" cases that is in two pieces and the bottom half folds down and away like the old film cameras when in use. When not in use - it's always inside the case. I am very happy with my LX100. Not a big enough reason to upgrade for me this time around. Every camera is a compromise but for me the LX100 is a real gem of practicality and quality. I've never experienced the "dust problem" but it is always inside a leather case when not in use. It's one of those retro "Ever Ready" cases that is in two pieces and the bottom half folds down and away like the old film cameras when in use. When not in use - it's always inside the case. [quote]Very disappointed that no mention was made of the dust issue that plagued many Mark I owners including myself, really thought you'd ask Panasonic if they'd made any changes to avoid this issue in the Mark II. [/quote] We asked Panasonic who said: "The LX100 was more susceptible to dust due to its collapsible lens. This has been significantly improved in the LX100 M2 as the engineers have put urethane into the lens gap." We asked Panasonic who said: "The LX100 was more susceptible to dust due to its collapsible lens. This has been significantly improved in the LX100 M2 as the engineers have put urethane into the lens gap." This seems a similar sized camera to my GX model now, but lacks the flexibility of interchangeable lenses...similar price too. I wonder if there are many people who would choose this over a GX model, compared side by side?